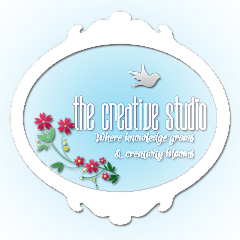 The Creative Studio: Laura's Loft CHA Hop! Hi Everyone!! Ready for any extra special hop over at Laura's Loft? Us inspirational compadres are sharing our creations from the new stuff from CHA!! Did you arrive here from Lisa's blog? How about her creations? Pretty awesome huh?!!? I was lucky enough to be able to get two new sets from Altenew: Brush Art Floral and Painted Greetings. Since Easter is fast upon us, I made two Easter cards with this great new set. I first die cut a tag from CASual Friday. I stamped the tulips with distress ink spun sugar from kit #4, worn lipstick from kit#7, squeezed lemonade from kit#10, fossilized amber from kit#13 and citron from kit#14 and mowed lawn from kit#2. The sentiment is painted greetings and Newton's Nook- simply seasonal. I added some bling with autumn and basic Virginia Turtle enamel dots. 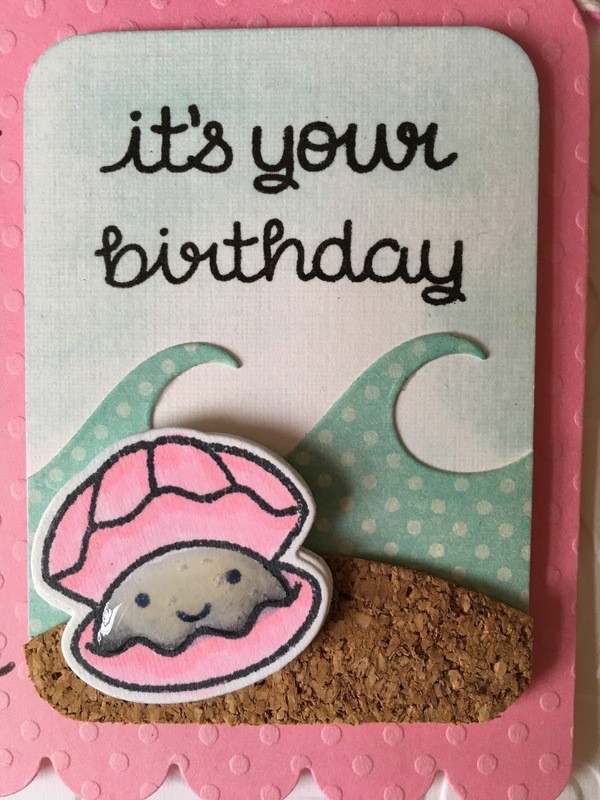 My second card makes me laugh, a bit of whimsy. Every year Lawn Fawn comes out with a small clear birthday set. This year we are in Year Six. I cut a small tag die from the CASual Friday tag set. 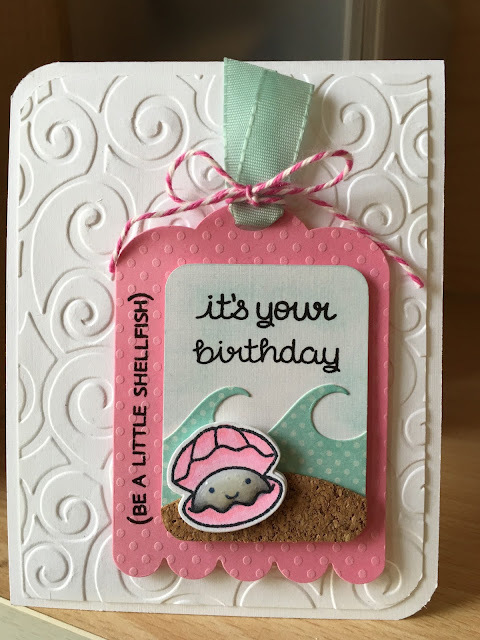 I stamped and colored the clam with copics and added Glossy accents to make the pearl stand out. 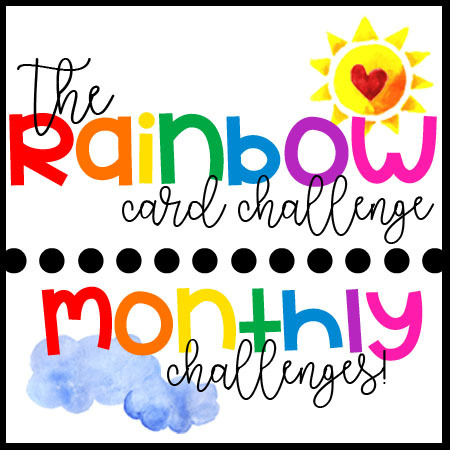 To celebrate this special hop, we have a special prize package full of fun stuff!! Here are the requirements to be entered in the drawing for the giveaway. There are several ways to enter and the more comments you make in the different social media outlets, the more entries you earn! It is required that you comment on each blog in the Hop. After that, you are encouraged to like, and comment on our Facebook page https://www.facebook.com/Lauras.Loft.Shop, tag on our Instagram post and pin on Pinterest, as well as share on your own pages. The participant with the most entries wins the fabulous prize package! How cool is that!?! Don't forget it is National Craft Month and Laura is having a sale!! Store Wide Sale Everything 15% off through April 3, 2016! I want the clam stamp it is so cute! Gorgeous sets from Altenew! 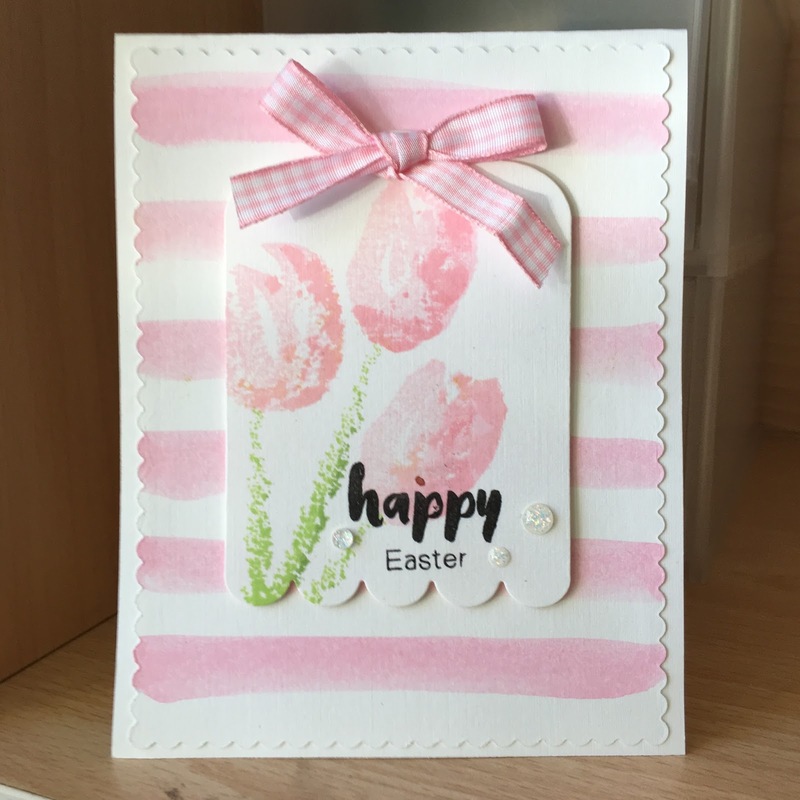 Love your beautiful tulips cards! And the Lawn Fawn card is adorable! Great details! You did a beautiful job with theses cards. Thanks for sharing. The two versions of the first card are so pretty. are both great ways to set off the tulips. Love that he's sitting on a piece of cork. Anything by Altnew is AMAZING and you've proven that in your two cards!!! I love this watercolor flower set and your two examples are AMAZING!!! Your second card is SUPE cute!!! I love the different texture (swirl, dots,and cork) and tag. 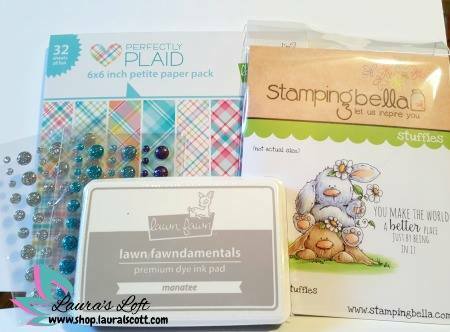 I love these punny sentiments Lawn Fawn creates as well!!! Beautiful creations Sue. 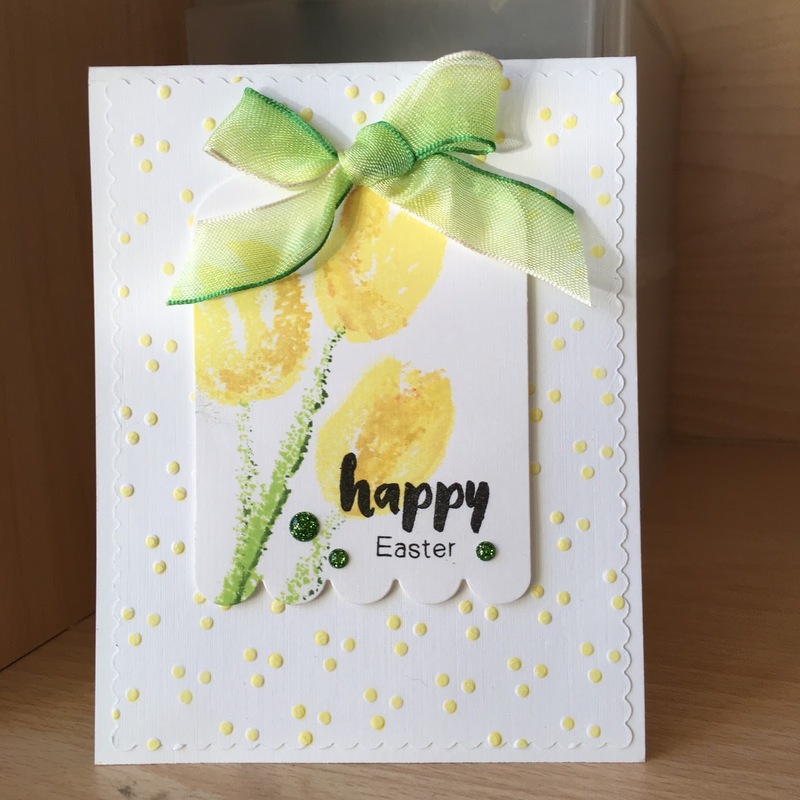 wow great easter cards love the colors and the ideas you can change it up- the birthday tag is wonderful! Love those tulips! They are gorgeous. Love your shiny pearl, and the polka-dotted background with those fab tulips! Beautiful colors! Love their springtime feel! Oh wow, these are pretty! Polka Dots Polka Dots.........nuf said! 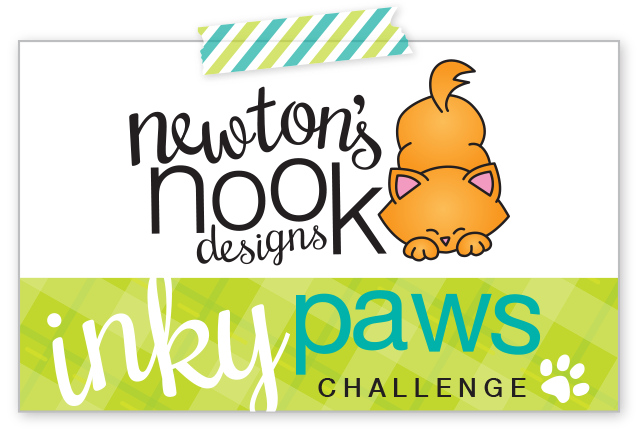 I create for Inky Paws! Follow my postings by e-mail. 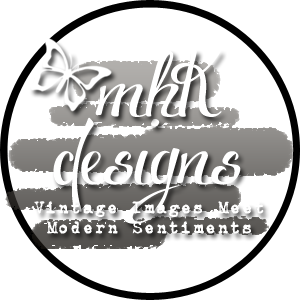 Blog design copyright MHKDesigns. Simple theme. Powered by Blogger.